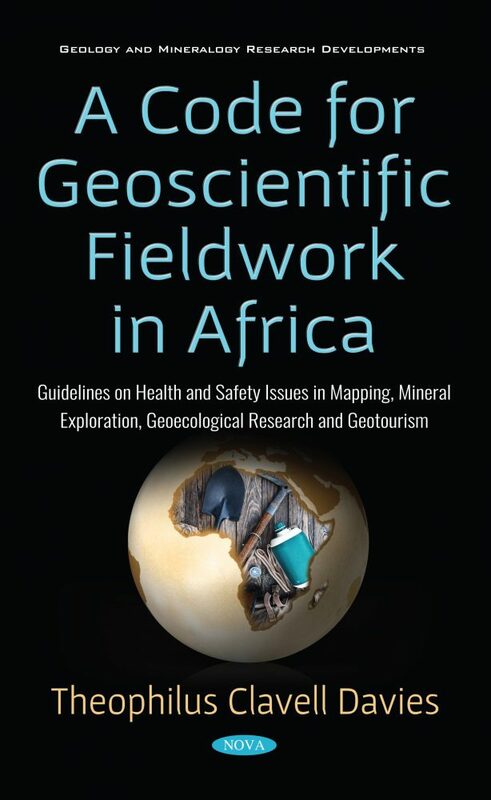 A Code for Geoscientific Fieldwork in Africa is the first book to focus exclusively on the important subject of geoscience and geoecology research and study, exploring the methodological considerations that engender health and safety aspects, offering strategies to mitigate these issues. This book comprises a set of guidelines to address the importance of geoscience and geoecology field trip safety, the considerations that should be taken in order to keep students, researchers and expeditionists safe in the African jungle, and how planning for safe field trips in the future should be undertaken. It also discusses how fieldwork affects the different categories of participants personally and what happens to field relationships. It gives an insightful analysis on participants with special needs and disabilities, and proven techniques for accommodating them in fieldwork. The unique challenges and obstacles faced in this kind of scientific endeavor in African settings are effectively captured in the book, including mysterious encounters with primitive bushman tribes and unavoidable dealings with belligerent local officials, and even near-fatal stampedes by rampaging wild animals. The book also incorporates by way of case histories a rich and diverse set of fieldwork experiences, insights and reflections on conducting geoscience and geoecology fieldwork in Africa, the health and safety issues that emerged, the solutions that were developed, and the realities of being in the field. Through an absorbing narrative, a paean is presented of the long and unique traditions of geoscience and geoecology fieldwork in Africa, and the reader is provided with an inside view of the trials and joys of such an endeavor. The book offers a sketch of health and safety issues that geotourists too may face during geoscience and geoecology field expeditions and proffers measures to mitigate these. The science is accessibly laid out and richly embroidered with tales of the bush. A Code for Geoscientific Fieldwork in Africa is an essential guide for both geoscience and geoecology undergraduates and postgraduate students, academics, and geotourists in Africa and from abroad embarking on mapping, mineral exploration, geoecological research and expeditions. Most of the health and safety guidelines address situations specifically in the field of geology, and are directed particularly at geology students and staff at African universities offering geoscience and geoecology programs. However, the guidelines given can be more generically applicable, as many African geological fieldwork experiences can be compared with those encountered in other scientific fieldwork endeavors. Therefore, also included in the book’s audience are researchers and practitioners of related disciplines such as archeology, botany, ecology, geography, mineral exploration and mining, and zoology. Geotourists, both local and international, on organized expeditions to Africa would also find these guidelines invaluable.